Here’s your last chance to shop Indigo Chapter’s Boxing Week Sale which ends January 2, 2016 at 3:00am EST. Here’s your last chance to save over 50% off 50 of the top rated titles selected by Indigo Chapters. Save an additional 10% off when you use VISA checkout. 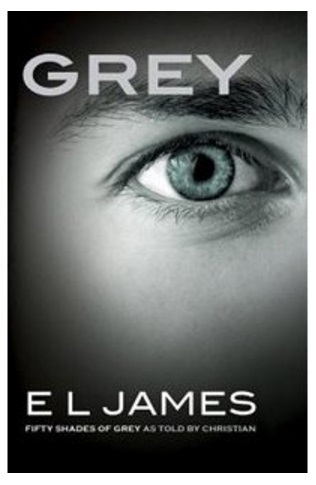 Grey: Fifty Shades Of Grey As Told By Christian by E.L. James, is one of the books that is on Indigo Chapter’s list of top rated titles in which you can save 50%. See the world of Fifty Shades of Grey anew through the eyes of Christian Grey.In Christian’s own words, and through his thoughts, reflections, and dreams, E L James offers a fresh perspective on the love story that has enthralled millions of readers around the world. Read this novel before the movie comes out, and compare and see which one you enjoy more. This book is originally $18.95 at Indigo Chapters, now on sale for $9.47, use VISA checkout, and this novel is only $8.52! Remember you can also save an additional 10% when you use VISA checkout. Indigo Chapter’s offers free shipping on orders over $25.